Today is International Vulture Awareness Day. Many species of vulture throughout the world are gravely imperiled. 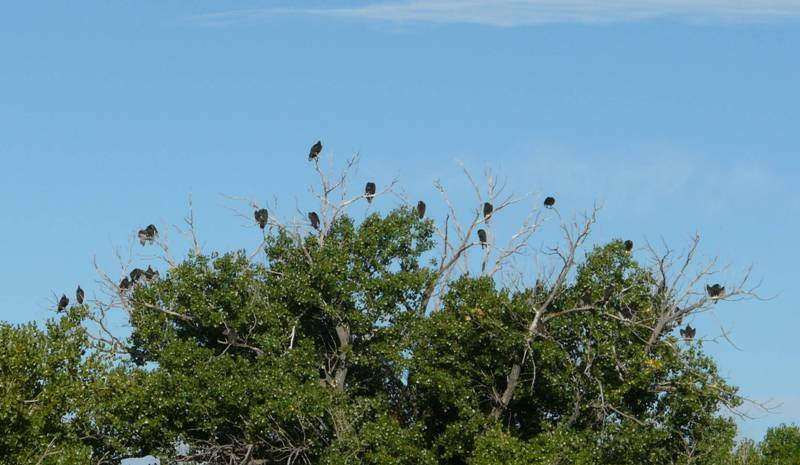 We are blessed in this country with healthy populations of both Turkey and Black Vultures. 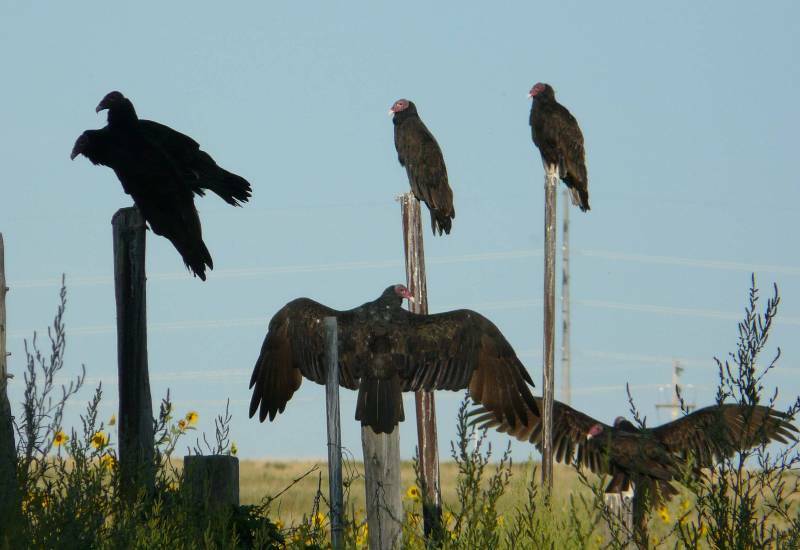 Birders should really appreciate Turkey Vultures, as they are so accommodating. They roost in plain sight. They take their time getting up in the morning, so there is no need for us to get up at the crack of dawn to see them. These birds are catching a few rays while they wait for the sun to warm things up and provide updrafts to keep the birds aloft. When they aren’t airborne, they perch out in the open for all to see. Those pesky warblers are seldom so generous. Birding has enough challenges. Don’t neglect to appreciate the easy birds, and the important roles they play. 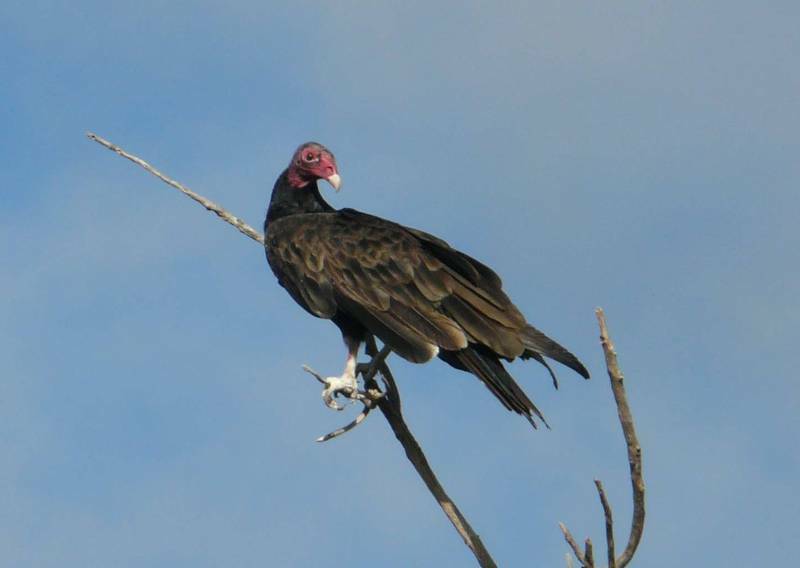 This entry was posted in behavior, species profile and tagged Turkey Vulture. Bookmark the permalink. Who needs those “pesky warblers” anyways. Go Vultures!